Universities are the higher institution that supports for the research and awarded academic courses in various faculties. 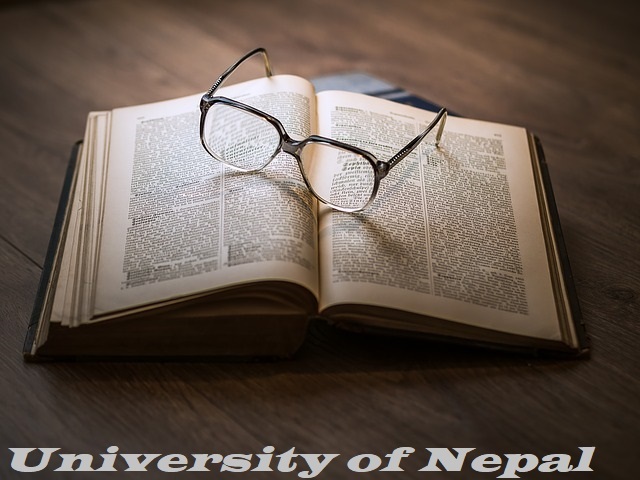 The history of Nepal's universities are not that long compare to western universities and top universities of the world. How many Universities are there in Nepal? New universities are being establishing in recent years thus the number is definitely increasing years after year. Currently there are 10 Universities in Nepal. Some other are under proposed. Thus this no. of university may vary some years later. Here are the list of University in order according to their establishment date. Currently, the above mention universities are under existence and new universities may open in coming future. Among them Tribhuwan University is the first and oldest university of Nepal. And 9th largest university of the world. It is operated under government administration. Agroforestry is a collective name for land-use systems and practices where woody perennials are deliberately integrated with crops and/or animals on the same land management unit. Agroforestry is a farming system that integrates crops and or livestock with trees and shrubs. Agroforestry practices should be increased to uplift the livelihood of the rural population by marketing various agroforestry products. Agroforestry practices also help to reduce food insecurity problem rising in developing countries like ours. Agroforestry includes various activities and parties from the process of production to consumers. Food Security: Food insecurity exists when people do not have adequate physical, social or economic access to food as defined above. The continuing practice of traditional farming has increased food insecurity. Food requirement is increasing drastically with the increase in population. The traditional way of farming should be replaced by agroforestry practices. This system of farming produces multiple products thus expected to reduce food insecurity somehow. Fodder trees in the boundary of terrace and timber & firewood trees in sloppy land. Our team of college student reached Lampata CF as an excursion to learn through observation and interaction with the community. On discussion with the members of this CF, we get to know this community forest was handover as CF in 2053 BS, Poush 7 (1996 AD). The forest area extended up to 84.27 ha (measured by GPS in 2072 BS (2015 AD)). For scientific forest management of the forest, the extends of the forest should be above 100 ha. However, forest management is practiced for sustainable yield. Currently, the community forest is under the presidency of Mr. Risiram Khanal and the beneficial household number reached out 270. Three different study blocks are made to enrich the forest products. Particular block has its particular function differently than others. Their main objectives include the production of round timber, production of fodder plants and practice of agroforestry for multiple forest product production. Forest under the CF comprises many plant species including Sal, Katus, and Chilaunae as three major species. To know the agroforestry related activities and status of AF in the CF. Our team reached Lampata CF and involved in discussion with the members of CF which are also the members of the community around that community forest. Involve in Focus group discussion as well. Give some time to have some filed visit to observe the condition of forest and management practices applied therewithin. There is a total of seven plots among which three plots are managed under scientific forest management. The size of plots is 50 * 80 m2 of each. The trees were felled using a selection system. Silvicultural activities like thinning, pruning, lopping etc. are done from time to time. In this community forest, agroforestry practice begins after an agroforestry related training was first conducted in 2070 B.S. Local Resource Group (LRG) was formed in the same year. Agroforestry seedling was distributed to the member of the CF to implement agroforestry in practice. Banana farming was emphasized to the local farmers under agroforestry practice. Under agroforestry, members of the CF were trained to cultivate fodder species in the side of the terrace and crops are intercropped in the middle of the terrace. Mendola, Ipil ipil, and bhatmase plant are some plants that are mainly planted in the side of bari which is Leguminosae species and helps to fix nitrogen and increase soil fertility. Many members of that CF are interested in agroforestry as it was proved to be a good source of income. Agroforestry intervention was introduced to utilize underutilize land. Agroforestry techniques in the village have resulted in proper land management increasing the capacity and fertility of the land. The CF provides naked land to a member of the user group to grow grasses for goat farming which helps in income generation and proper land utilization. The major agroforestry products marketed from Lampata CF are banana, ginger, turmeric, broom, honey, and black sugarcane. Banana farmers had harvested their products targeting to the festival and other local level religious functions. Local fruit sellers and retail shop keepers of the local market, called sotipasal, had direct contact with farmers or producers, and farmers supplied their banana fruit and other fresh products based on the demand of fruit sellers and shop keepers. There are a lot of benefits that we benefited from other than the direct benefit that people gain from agroforestry multiple products like timber, firewood, fodder and various crops at the same time. Besides this agroforestry would help in Climate change mitigation as agricultural practices carried out without hampering forest composition and ecology. It is unwise to use an area that is highly sensitive to the erosion of agriculture purpose alone. If the agroforestry practices implemented in such areas then it would help in soil conservation as well as to retain soil quality and improved in the long run. For increasing, crop yield agroforestry is the best practice that should be carried out which enriches the productivity of the soil. Agroforestry helps out in the purification of groundwater along with retaining water by tree roots. Thus, as a result, groundwater becomes cleaner and contains fewer chemicals. In the scenario of habitat destruction of various wild fauna, agroforestry would help by providing vital habit. Improving the agroforestry practice aside, one of the ways to improve food security. Through diverse food production, natural resource conservation, improving nutrition, health and increasing economic income of rural poor people, agroforestry play an important role in country's food security. For hungry and food-insecure communities, agroforestry creates more resilient agricultural systems where the risk of crop failure is minimized and spread between diverse crops. Agroforestry can enhance food production through their various benefits. An agroforestry system has more than two components and yield food grain, fruit, vegetable, spices, livestock food products. Agri-silviculture, agri-horticulture, silvi-pastoral, agri-silvi-pastoral and other systems like aqua forestry, apiculture with tree species are the most important agroforestry systems which will play crucial role in countries food security. 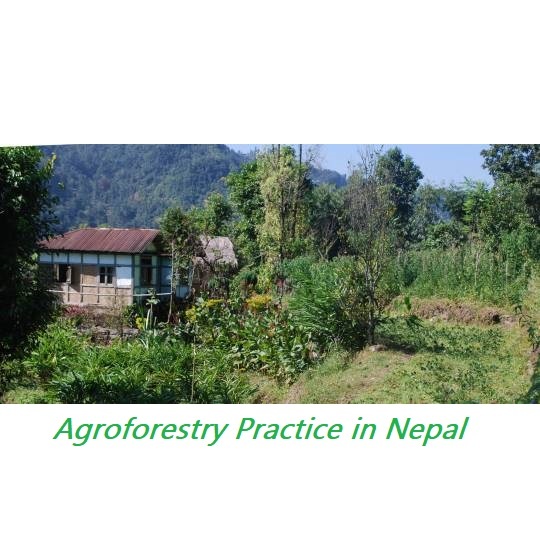 There are lot of challenges while implementing agroforestry in practice. It is not that easy as easy as to have a discussion about agroforestry. Although it is the best practice due to its lots of benefits it can provide but it is really hard to convert natural forest or farmland turn into agroforestry mainly due to lack of capital because most of the farmers have low economic status thus they can't afford to turn their practices into agroforestry practice. Lack of technical skills to the locals has suppresses the extension of agroforestry practices all around the community and nation. Lack of quality seeds is another drawback that is not in favor of extending agroforestry. High quality of seeds would only be best way to increase the production of agroforestry products otherwise no significant difference than other practices. Lack of manpower leads low participation in agroforestry practices. It is highly labor-intensive practice that demands the involvement of huge no. of people participation. Village youth are out of village in search of jobs and others income generating activities which causes lacks of manpower for implementing multi beneficial agroforestry practices. Market inaccessibility causes difficulties in supplying agroforestry products upto the markets. Thus the producers are not getting that benefits that they would get when if accessibility of market is made better. When market accessibility is made easier then the profit slipped in the hand of middle man would reached out in the hand or producer thus agroforesty practices would enhance. Agroforestry has more than two components which provide diverse farm products. It reduces the risk of crop failure during adverse conditions such as prolong drought period and other natural calamities due to climate change. It also helps to enhance nutrition, health and income of rural poor people. Thus, agroforestry (sustainable land use) system is the best one option for tackling the food security problem. Agroforestry practice would be extended all over nation and many poor people would be benefited only when some chages need to be introduced at district and national levels to promote policies supporting agroforestry and capacity building for climate-smart agriculture. Every people in the community may not have sufficient knowledge about agroforestry and it's benefits thus it's needed to provide awareness program in the community so that participation would increase thereafter. Since the women covers half of the portion of the community. Neglecting half of the community behind in implementing agroforestry the practice would never be success unless participation of women is ensure. Thus it is need to involve women in all meetings, trainings related to agro-forestry and encourage them to envolve. 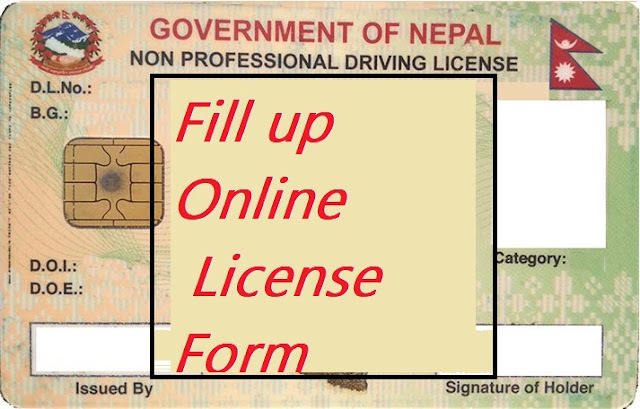 Today we will be applying for online Driving License in Nepal. We can apply for driving license online. Some years back most of people were facing problem just to go through a governmental administration process for filling up the license form for the vehicles. Now, the time has changed as well as the procedure and methods to get your license form filled. It was difficult to fill up the form staying in a long line of people to fill up just a page full of form that opens only few times all over year. Online world not only changes the way of communication but also makes our day to day life easier. I am explaining here about how to fill up the online license form. Online license form has really save our valuable time that can be utilised in other more productive work. Now here is a way to apply for new license application form, First visit to http://onlineedlreg.dotm.gov.np/homepage_. 'New Category' for those who are going to have license for first time. 'Add Category' for those who already have license and want to add license to another type. 4. Then appear a main form where you have to give your details. You can enter your first name, last name and middle name (if you have) according your citizenship card. You have to fill your date of birth (DOB) first either in B.S. or A.D. before filling up your age then drag arrow above Age field that would be fill automatically. DOB can be filled by clicking on Calendar logo along side. Similarly, you have to fill up other blank spaces including gender, education, blood group and occupation. Citizenship number and citizenship issue district should be mentioned. Other boxes to fill are optional. Witness people should contain the first name, middle name (optional) and last name along with relation to either father, or mother, or husband. Trainer name and trainer license number is optional. 5. Your address details should be given. Permanent address should be given according to your citizenship address. During filling up your address you should select your zone first, then your district, then village (or municipality), ward number and Tole along with your mobile number respectively. Other details are optional to fill up office contact number, contact no. and email id. 6. If the temporary address is same as your permanent address then you can click simply on checkbox close to 'SAME AS PERMANENT'. If you are at different location then that mention in your citizenship card then you have to fill up as above as you filled up in previous step. 7. You need to select the category of license you are applying for. 'A' for 'Motocycle', 'B' for 'Car' and 'K' for 'Scooter'. 8. You are close to end of your form. Now, you need to select the zone to which you are applying for new license and then select license issue zone after filling up the previous box. Then you can submit the form. 10. Then it provide your registration details. Check it out whether any details provided has any error or not. Correct it out if any error found. 11. At the end of 'Registration Details' - Click on save details if you have done already. 'Edit Details' if needed. 12. If the Department of Transportation do not accept the form then the form would not be submitted you should understand that online form is not active current days and you would be redirected to initial demographic form details. 13. If this form is submitted then you would be notify that 'Your application is successfully Registered' and also provide your details and date to visit zonal transportation office. 14. Click on 'Print' to get a full page that should be taken with you while you visit zonal transportation office. 15. For motor cycle and scooter you need not to have training certificate but others as mentioned to take with you along with you. After completion of Intermediate Level or +2 Level students wanders here and there. Students can't make really a good decision on choosing their interesting subject due to limited knowledge about the importance and scope of respective Subject or field they need to select for further study at University level. 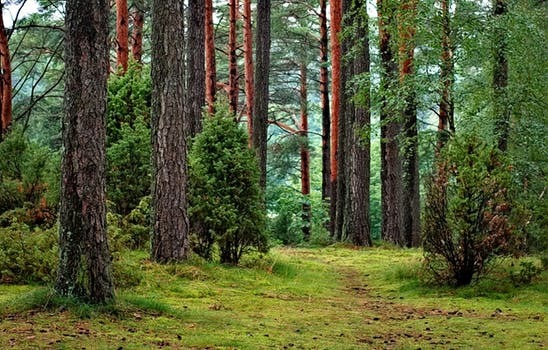 Here, through this article, I am not going to make you take Forestry as your further study field but I like to clarify what forestry really covers an introduction to forestry colleges. Procedure to get admitted and many more. Also, I like to mention that this article would be more helpful to students of +2 Science Completion and equivalent to it. And to those who are interested and required to confirm it. Let's get into the topic! Forestry is the science which covers the study of wild plants, vegetation, wildlife, environment, and interaction with the people for the welfare of humankind. Forestry focuses on protection, conservation as well as wise use of natural resources. Those people who are interested in natural resources management through its conservation, protection and wise use of resources can enjoy selecting this field as their career. It would generate amazing feeling inside forester to involve in the welfare of millions of people through involving in maintaining sustainable regeneration of forest resources, reducing different environmental hazards, preserving water sources, and various activities that show respecting Mother Nature. The human resources requirement associated with the environment and forest sector is increasing in the context of Nepal as well. The forestry skilled manpower now needs to work out to minimize the impact of climate change and it influences on poor and marginal people those who directly associated with the natural resource and depends on forest resource for livelihood. You can be the best actor to fight against the 21st century great challenges 'the climate change' and 'global warming' as a skilled forester. In the national scenario, it's almost half above 40% of Nepal's area is cover around 40 % forest area. Thus working on forestry sector with a wide range of scope is really fascinating. Since Nepal is one of the best natural tourist destinations due to it's beautifully designed landscape as if it's a piece of Heaven on Earth it's favorable for Ecotourism enrichment. Having all these beauties Nepal has a fragile landscape which can easily be eroded either by landslide, erosion, flooding types of natural hazard which can be minimized with sound knowledge of Soil Conservation and Soil Science. Forestry includes these all Ecotourism, soil conservation and many more associated with natural environment including biodiversity conservation and wildlife conservation in protected areas, conservation areas, wildlife reserve, and national parks. If you are fond of these it's best to be a forester in the near future. Still, it's not jabarjasti it depends on your will. Every year human resources from the forestry sector are linked with government services in different post significantly. This number is far more in comparison than from any other technical subject. Self-launched project and different green organization are working in a different green project which demands human resources from forestry sector every year in high quantity. It is wise to choose forestry as a field to educate yourself in the changing scenario of the modern world. Now, the new syllabus published by IOF is of international standards. This Forestry Courses of Bachelor level is made equivalent to international standards by increasing credit hours of its study hours with the addition of issues currently raising around the world. It covers all associated areas and subjects to produce skillful manpower. Institute of Forestry (IOF) is a leading organization on the field of Forestry. It works on preparing trained manpower for the conservation and regulation of National Forest. IOF provides different courses of Forestry for Bachelor and Master Level and Ph.D. level as well in recent years. IOF has three colleges all over Nepal. Among them, IOF, Pokhara Campus, and IOF, Hetauda Campus are run under government administration whereas Kathmandu Forestry College runs under private administration under the affiliation of IOF. In 2010 Agriculture and Forestry University (AFU) has been established which the main objective is to generate manpower associated with agriculture and forestry sector including veterinary and fisheries sector. AFU runs its forestry courses at Hetauda in the same building with TU. It is the main forestry college of IOF. The dean office is along with the Campus periphery and administration works are carried out from there. Since it includes the executives body and located in a peaceful environment many students prefer this college for studying forestry. It can facilitate 80 students every year for B.Sc. Forestry Program. For more detail, you can see on IOF, Pokhara Campus. It is another forestry college run under government administration and funding. It has a capacity of 80 student's intake in B.Sc. Forestry Program. It is privately owned forestry college run under the affiliation of IOF, TU. It is established to facilitated valley student and generate skilled manpower for the forestry sector through the involvement of the private sector. This college as well is ready to welcome 80 new students for the new administration in B.Sc. Forestry Program. It is the college on which TU used to provide forestry courses to its student before the establishment of AFU the campus should be handover to AFU but due to interior dispute in between AFU and TU both the university is sharing this college for providing their respective forestry courses to their students. This college also holds 80 students despite its capacity. The admission opens during November and December for the new session in Bachelor level. For obtaining administration on Forestry college an eligible candidate should have completed +2 Science or equivalent to it. I.Sc. Forestry pass out student are admitted along with the student from Science background before removal of I.Sc. Forestry by TU. For administration on Tribhuwan University (TU) forestry Colleges that are IOF colleges, the admission form should be filled and appear on the entrance exam. Entrance exam on both college held on same date and selection of campus based on your marks you obtained during entrance examination. You can fill up the admission form either from the campus administration or fill up online. Hello there, Today we will be registering .np domain for free. We will be Hosting the registered domain. We will create a mail server for our domain too. .np domain is country code Top Level Domain (ccTLD) which is free to register. Domain registration of np domain is handled by Mercantile Communications Pvt. 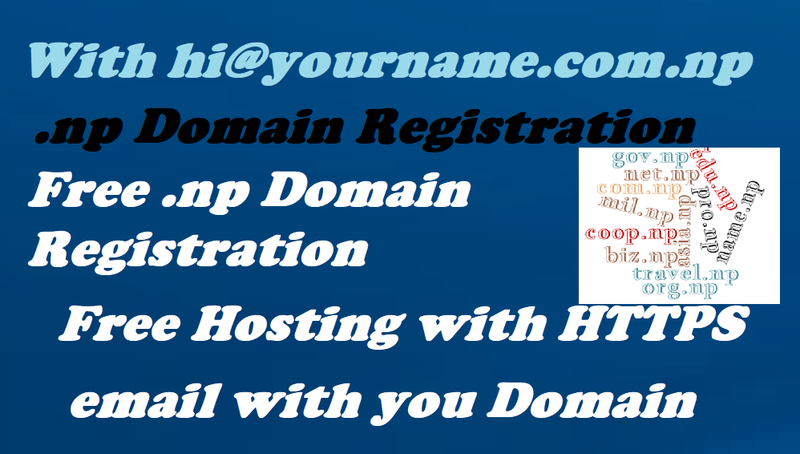 Ltd.
Domain registration is the process of acquiring a domain name from a domain name registrar. Domain Name are never owned, we just take them of some period of time. But for np domain once it is registered there is option as Expiration of the domain. First we need to register the np domain, you can register the np domain for free with your citizenship and a cover letter. Cover letter is now considered as compulsory so your need to provide cover letter too. You can check our article to Register .np Domain. You can follow the video below for domain registration. Domain hosting is the process of storing your website file in a server which will be available / online 24 hrs a every day. Once you enter your domain name in browser. Browser look for DNS server for your domain, Now the browser send request to the IP address of your domain (which is of your hosting service), The domain will send the appropriate file or response. Here we will be using Google Firebase, GitHub Page, and Blogger. Firebase and GitHub Support only static sites, where as Blogger can be used as a blog. I suggest to setup your domain root domain in GitHub page and some sub-domain in Blogger. Google Firebase is a tool for developers, generally used for app development. Here we can add our own domain and add SSL certificate for that website. It is used for App landing page. Here we will be using it to host our website. They have very good documentation for serving domain with them. You need some command tool skill. You can have at most 5 websites with this. GitHub is a online platform for development and distribute version control. You can have your project on GitHub repository then you can server that web-page. It is really easy option to host your static website with. GitHub start allowing ssl for the custom domains too. You can server your sub-domain with Blogger. Blogger is online platform for bloggers to share their written contents. You can add custom domain with blogger blog. Blogger provide ssl for custom domains too. Mail server for your domain will allow you to receive emails in your own email. As we use mail server for google as on gmail dot com. We can have mail server on our own domain. For me you can send mail at amrit@bloggernepal.com. We will be using Yandex mail for this service. Finally we register .np domain and host that domain and make it online. You can choose any of the domain options form the given above process. you can create your own mail server with your own domain.